In 1988, Columbia Gastrointestinal Endoscopy Center opened and was one of the first ambulatory surgical centers in South Carolina. “I was proud to assist in the very first procedure. I remember everyone being somewhat nervous, but we broke the ice and here we are 30 years later,” Cindy exclaimed. Managing two centers, Cindy’s responsibilities have increased over the years. “From assisting with procedures, which I still do when needed, to training, payroll, anesthesia coordination and accounts payable, risk management, human resources and much, much more, can be quite a feat. 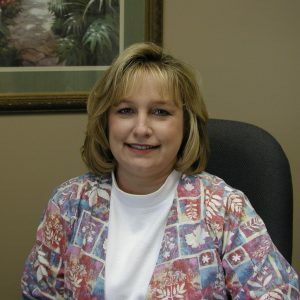 But the one that has evolved the most, is QAPI [Quality Assurance and Performance Improvement],” Cindy said. Cindy may not be planning for another 30 years but she expects to remain a part of the center for a few more years before retirement. In the meantime, she is continuing to enjoy her work as well as her hobbies outside of the center—knitting, crocheting and gardening. She loves spending quality time with her family and friends at the lake or beach, and especially the time with her three grandsons, Cooper, Tanner and Waylon. Congratulations and thank you for 30 years of service, Cindy.